Most valves, mastics, seals and gaskets are a good barrier against liquids. However, a lot of them leak when it comes to vapours, such as hydrocarbon products and water vapour which can actually permeate through the materials that makes up the walls, seals and mastics. Many materials, such as cellulose, EVOH or PVOH, allow water vapour to flow through almost as if they weren't there. Some plastics allow hundreds of times more vapours to flow through than others. This leads to gaskets and seals don't actually seal properly for some vapours. Versaperm offers a solution to this problem with its range of dedicated and generic permeability measurement instruments. The manufacturer says the equipment is both highly accurate and simple to use. For some applications it is claimed it can produce results in as little as half an hour, as opposed to the days or weeks taken by the conventional technique of gravimetric testing. A wide range of application-dependant sensors is available depending on the precise task at hand. 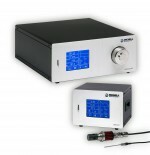 Measurement techniques include flame ionization, catalytic combustion, infrared, photoionization, mass spectrometry, capacitive, coulometric, electrochemical, electrolytic, gas chromatography, impedance, infrared, paramagnetic, pressure measurements semiconductor and thermal conductivity. Versaperm's permeability meters typically achieve accuracies in the parts per million range, (parts per billion with some gasses). 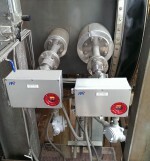 The systems are ideal for use on most materials, membranes, containers, films, laminates, coatings and components. They are also suitable for general testing as well as QC, lab and development work. As well as manufacturing the instruments, Versaperm offers a permeability laboratory service for companies that need to test samples on an irregular basis.